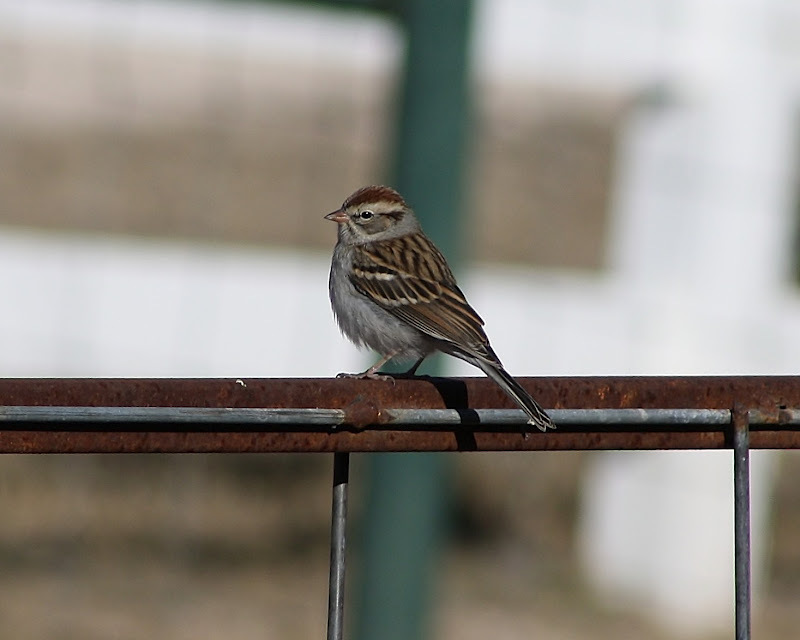 At Monday's inaugural Birding Tour for the 2012 season, we were very lucky to not only spot both a Field Sparrow and a Chipping Sparrow, but we heard both singing, a true rarity in the city. The coincidence is even more fortuitous as these two sparrows are very similar in appearance and make an excellent field guide comparison for novice and intermediate birders. We, of course, looked to our expert guide from the NYC Audubon Society Gabriel Willow for notes on telling the two apart. 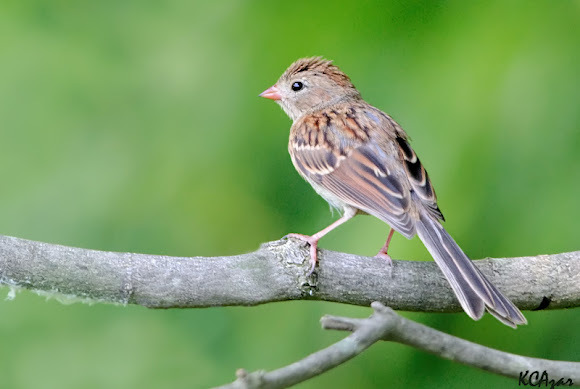 Field Sparrows are browner, with pink beaks and a plain gray face with a white eye-ring, giving them a wide-eyed, innocent expression. Their song is a beautiful whistled "bouncing ball" series of accelerating descending notes. Chipping Sparrows have a black bill, a dark line through the eye making them look a bit "squinty", and a brighter rusty cap. They are grayer overall; Field Sparrows are often a warm pinkish-brown tone (but can be gray too). The Chipping Sparrow song is really different: it's a steady trill, all on one note/pitch. Otherwise these guys are pretty similar in size, shape, and habits: they're closely related.